Lake Tahoe Transit provides North Tahoe/Truckee bus schedules (TART), airport and charter transportation information (North Lake Tahoe Express), taxis and limo services to make traveling easy. 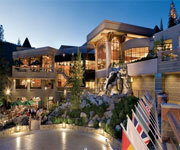 This is your one stop for finding a ride in North Lake Tahoe. Be sure to check out the Lake Tahoe road conditions for tips, chain requirements, and construction information when you're driving on snowy Tahoe roads. Find all the information you need for biking in the area through Lake Tahoe Transit. 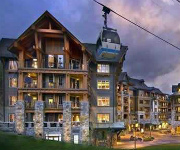 Get to any ski resort in the area with a complete list of resort ski shuttles in Tahoe! Your complete guide to North Lake Tahoe transportation, whether you're driving yourself or need a ride! Features: Lake Tahoe Transit helps you find North Shore bus schedules, Reno/Tahoe International Airport shuttle information, charters, taxis, limos and road conditions to help plan getting around in Truckee/North Tahoe. Whether you're looking for Lake Tahoe transportation or helpful tips on how to navigate the road yourself, check out the site for your next trip. 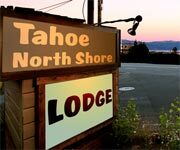 Know Before You Go: This is your one stop shop for finding a bus, limo or taxis in North Lake Tahoe. Full Directory: Lake Tahoe Transit has put together all the necessary information, links and phone numbers to provide you with a complete guide for North Lake Tahoe transportation. Find the entire TART bus schedule. 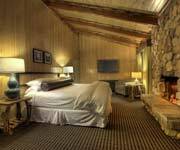 Get to your hotel, around the city or back to the airport on time using all these airport and charter transportation services or taxis in North Lake Tahoe. Helpful Weather Services: All the snow makes driving around in the winter difficult for those who may not be used to it or don't know the area well. The summer season is a time for road construction and repairs. Use this helpful guide to Tahoe road conditions and weather cams to help you navigate the area when you're driving around during any season. Where's My Bus? After you've checked the bus schedule to plan your trip, keep up with every bus in the Tahoe area with the Next Bus system. This feature allows you to track your bus by the minute, and all the buses after that so that you never miss your ride!